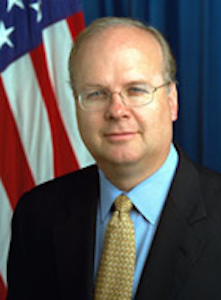 In a prophetic column in early 2010, Republican strategist and political guru Karl Rove asserted: “He who controls redistricting can control Congress,” and that is just what Rove had his eye on doing for the GOP. The cunning manipulation of political district lines by Democrats or Republicans to guarantee their own election and protect their lock on power has a long and byzantine history in American politics. But the black art of gerrymandering is now being carried to extremes. And it is undermining the integrity of American elections. For now, as never before, sophisticated modern mapping software such as Maptitude, Red­Appl, and autoBound, enables party strategists to stack the deck by carving and slicing neighborhoods down to the precise block or household in order to insure victory for their party. In state after state, especially those with closed party primaries, gerrymandering distorts the overall popular vote, sometimes turning the results upside down. After the 2012 elections, for example, Congress did not accurately reflect the people’s votes. Democratic candidates for the U.S. House of Representativers outpolled Republican candidates nationwide by roughly 1.4 million votes. But Republicans emerged with a 33-seat majority in the House, capitalizing on the crafty GOP gerrymandering devised by Rove and others. So gerrymandering can and does rig partisan outcomes. But the most malignant effect of gerrymandering and party primaries is to disenfranchise tens of millions of independent voters, now roughly 40% of the U.S. electorate – more than in either major party. In most districts of populous states, independents and members of the minority party are quite literally robbed of any meaningful vote for the U.S. House of Representatives, in election after election because they cannot vote in political party primaries, where the crucial election decision is often made. Take Massachusetts, where American gerrymandering was born. In fact, we get the name gerrymandering from the salamander shape of one district as they stacked the district maps in 1812. 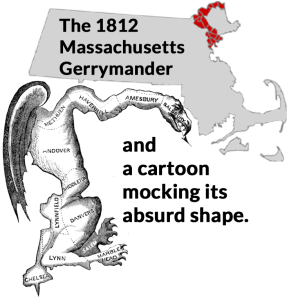 Two centuries later, the Democrats still gerrymander the district lines in Massachusetts even though 62% of the state’s electorate are either registered Republicans or Independents. Because Democrats doctor Congressional district maps to insure Democratic winners, the Democratic Party primary in Massachusetts de facto becomes the decisive election for the House. But the 62% get no vote in the Democratic primary and their votes in the general election don’t matter because gerrymandering has pre-cooked the outcome and deprived them of any real say in that election. But if Democrats rule the roost in Massachusetts and a few other states like Maryland, Connecticut and Illinois, Republicans are the national champions of the modern gerrymander. The key to their supremacy – and their control of the House of Representatives -is REDMAP, a secret plan devised by the GOP after Barack Obama won the White House in 2008. Nursing their wounds, Republican strategists like Karl Rove and Republican National Chairman Ed Gillespie set their sights on Congress. They devised REDMAP, a nationwide strategy that, Rove bragged, would spring a surprise on Democrats in the 2010 election. With $30 million in funds from corporations like Wal-Mart, tobacco giants Altria and Reynolds, and from Rove’s SuperPAC, American Crossroads, the GOP mounted a targeted drive to capture control of as many state legislatures as possible in the 2010 election in order to dominate congressional redistricting after the 2010 census. Then came the GOP gerrymander crunch, creating safe seats for Republicans and severely limiting Democratic chances of victory by packing masses of Democratic voters into a few urban districts that Republicans knew were hopeless for the GOP anyway. REDMAP worked beautifully. The Democrats won more popular votes in House elections nationwide in 2012, but the GOP walked away with a 33-seat House majority. 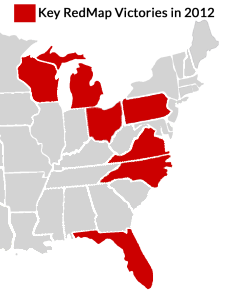 Seven states held the key – Florida, Michigan, North Carolina, Ohio, Pennsylvania, Virginia, and Wisconsin. In those seven states, GOP House candidates narrowly outpolled the Democrats, 16.7 million to 16.4 million. There were 107 House seats at stake and so the GOP share of the popular vote should have entitled them to 54 seats vs. 53 for the Democrats. But with their computer-powered gerrymandering, Republicans garnered 73 seats to just 34 for the Democrats. They won 19 extra seats – 19 seats beyond their share of the popular vote. Those seats gave Republicans a House majority in 2013. Without them, President Obama would have had a Democratic Congress to work with. Some political scientists dispute the impact of political gerrymandering. They contend that it is ethnic and social geography – where people like to live – and not gerrymandering that skews election results. In his book The Big Sort, journalist Bill Bishop wrote that Americans live increasingly in areas with people like themselves. Democrats pack into high-density urban areas and Republicans gravitate to the suburbs, small towns and the wide, open spaces. Because Democratic candidates win unnecessarily large super-majorities in their urban districts, Democrats waste votes, so the argument goes. According to this logic, the Democrats’ overall popular vote winds up under-represented, while Republicans, being more spread out, get overrepresented. It is certainly true that for more than a century, waves of immigrant Americans have settled in ethnic conclaves near like-minded and like-cultured neighbors and people have gravitated toward others of their economic or social status. But that’s not new in America. It predates the civil war. What the Big Sort analysis ignores is the dramatic shifts that occur after party control of a state changes hands. 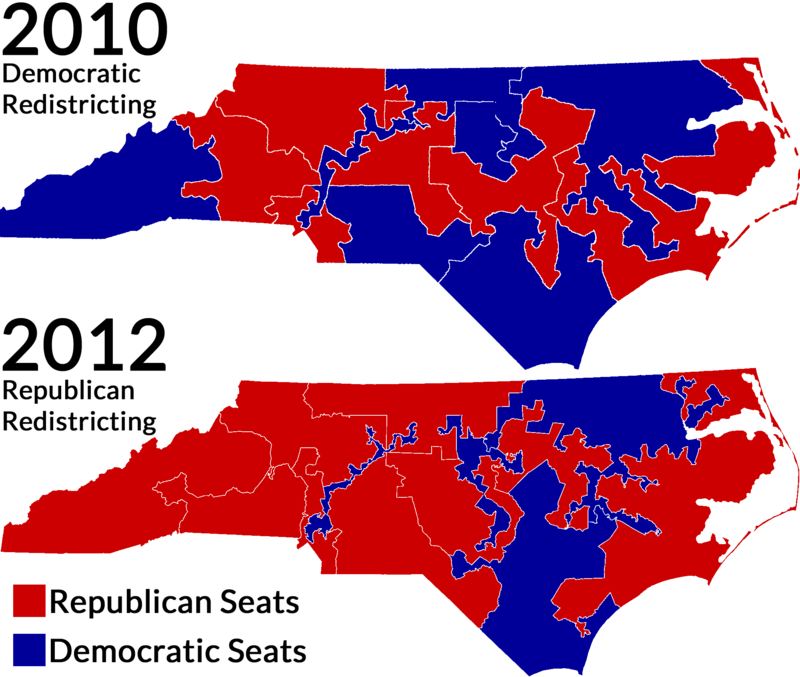 Before REDMAP, Democrats in North Carolina carried the popular vote for Congress and won a 7-6 majority in the state’s House delegation in the 2010 election, under the redistricting plan drafted by Democrats in 2001. Two years later, in 2012, Democratic House candidates again won a statewide popular vote majority for the House. But a new gerrymandered map had been drawn by the Republican-dominated legislature, and Republicans emerged with 9 seats to 4 for the Democrats. A miraculous switch of three seats with little change in population. Karl Rove has a fistful of examples to show how gerrymandering swings elections. Promoting REDMAP to Republican funders, Rove trumpeted the GOP triumph in Texas after the special redistricting done when the GOP won control of the state legislature in 2002. Back in 2001, Democrats had drafted a redistricting plan that gave them a 17-15 edge in the Texas delegation to the 107thCongress. But in 2004, after Republicans had engineered an unprecedented second redistricting, the GOP came out on top by 21-11 – a net switch of 6 seats, the harvest of gerrymandering not the Big Sort. If political competition and voter choice are the bedrock of American democracy, gerrymandering is alien distortion. At core idea of the gerrymander is to create local political monopolies that literally leech serious competition out of all but a tiny fraction of House elections – and most state legislative elections. So efficient and pervasive has modern gerrymandering become that more than a year before anyone casts a ballot in November 2016, a savvy political reporter could predict the outcome of nearly 90 % of races for the House of Representatives. 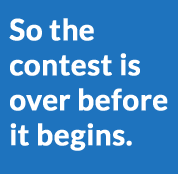 So the contest is over before it begins. A major victim of partisan gerrymanders and closed party primaries is the moderate middle – moderate voters and centrist politicians willing to work with the other side. Moderates and centrists get squeezed out by gerrymandering. Southern Republicans manipulated district maps to kill off conservative southern Democrats and northern Democrats did the same to moderate House Republicans in the Northeast. This system has accelerated the rise to power of extremists. This happens largely because in most gerrymandered districts, primary elections have become more decisive than the general election, and in primaries the de facto power of decision rests with the party faithful. 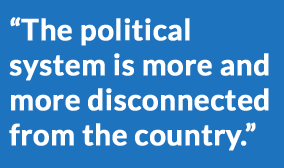 Because primary voters often differ significantly in the views from average voters, there is often a disconnect between the broad electorate and the politicians who win primaries and get elected. In recent years, the widespread victories of partisan extremists fuels gridlock in Washington. The pernicious effects of gerrymandering and closed party primaries and their stepchild, the endless partisan warfare in Washington, have spawned a populist backlash, a sharp and growing chorus of protests at the grass roots. Citizen activists are pressing for reforms to restore the primacy of voters, create a more level and open playing field, and to insure a fair outcome in American elections by throwing out the politically corrupt practice of partisan gerrymandering. Over the last decade or more, half a dozen states have ejected political officeholders with their own self-interests from responsibility for drawing the maps for congressional districts. They have turned over that critical task to nonpartisan citizens commissions. In half a dozen other states, public interest groups like Common Cause and the League of Women Voters have filed lawsuits challenging the legality and constitutionality of partisan gerrymandering. And lately the courts have given encouragement to reformers by endorsing the interests of citizens exercising direct democracy against the political parties and partisan legislatures. NextRode to our “job” over 15 miles. Enjoyed the weather, exercised, and glowed.